Featuring the new Layton range from Vitra, its subtle and simple design brings a contemporary look to your bathroom. 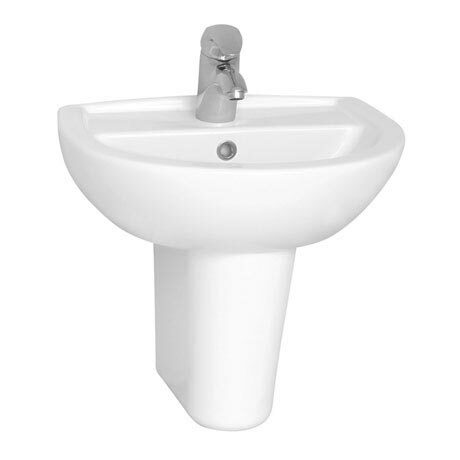 There are flexible options within this cloakroom basin range, it is available in 1 or 2 tap holes and a full or half pedestal option. It is made from fine fire clay to give it a strong and durable body able to deal with the general wear and tear of the bathroom.